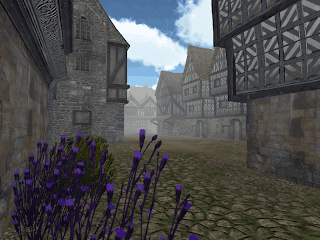 Here are some older screenshots of my Daggerfall remake project, Daggerwind. This is the game I've always been trying to make ever since first playing it. (Or perhaps Elder Scrolls I Arena) Many have said it looks more Arena-ish than Daggerfall. Either way, it's a game inspired by a combination of them both. Old school RPG, Massive randomly created world, Random dungeons, Towns, everything. Will update the main site when I can remember the password, but until then here a couple screenshots of one of the towns, completely random, and in the style of Arena/Daggerfall, totally massive. The Town can be easily as large as Daggerfall towns, it's comprised of an array 12 x 12 grid of tiles (can be more if required), each tile containing between 8 to a dozen separate buildings. The Random Town generator creates a 3 x 3 grid around the player, adding and removing tiles in the same way as the Infinite terrain generator. I'm gonna go ahead and comment on this. I've no interest in your development and I came by this blog by an accident Googling Game Windows. Yeah it's there. Anyways I found this post pretty interesting. So here's a little bread crumb mate. 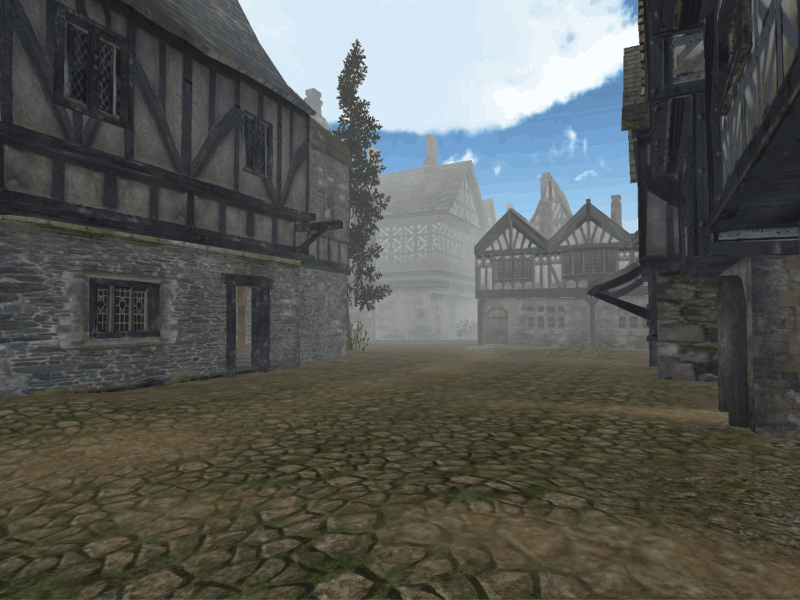 If you'd have a way to randomly generate a map with one, two or three villages or cities with random sizes and numbers of buildings, and having these buildings interior accessible you could be on a good path to greatness designing such a random map utility in an FPS game engine environment. Seed capable. Players will not be able to get enough of your game play. Each round is a new map. And each map is a new challenge. Thanks for stopping by and leaving a comment, very much appreciated. This is the holy grail for small indie devs as time is the most expensive asset, and adding content takes enormous amounts of it. It's do-able for me to make an Elder Scrolls Arena or Daggerfall, however next to impossible for a Skyrrm, Oblivion or even Morrowind as they take so much hand crafted content. Making a game the size of Daggerfall isn't the problem either, but making it varied and interesting enough to keep the player engaged for any length of time will be. I understand what you are saying and I can see your issue. But even in a handcrafted environment offered in Oblivion and Skyrim it became boring, dull and repetitive after looting and exploring so many caves and forts. Again I would like to wish you good luck and say far well. Who knows, maybe in two years I'll read about some guy named Paul Rowland who has overtaken the markets with his limitless rpgs. this looks so freaking awesome. just wish something like this was released on Vita. keep up the awesome work. This is awesome. I love daggerfall and I will make sure to keep up with your work on the game. Keep up the good work man! Is it possible to remake a world as large as Arena's envisioned Tamriel in something like Unity, with modern graphics and the like? And for that matter, is there a chance that would be a decent sized game that won't fill an average working person's hard drive entirely? And now that that's out of the way; was town and dungeon really random? Did Tamriel randomly generate in those games?